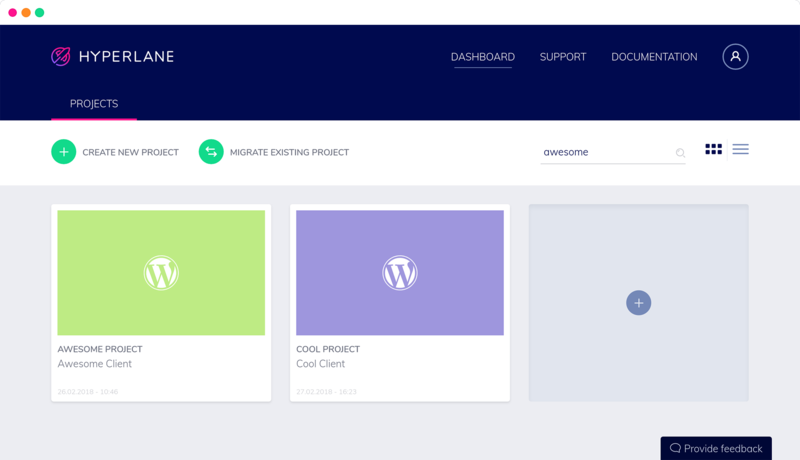 A single platform to build and host Craft and WordPress websites. Hyperfast hosting, automated workflows and all the tools you need to deliver. Whether your are developing a hobby project or a webshop with millions of pageviews, our next-gen hosting platform has got you covered. Set up projects in less than a minute. Clone between different environments in seconds. 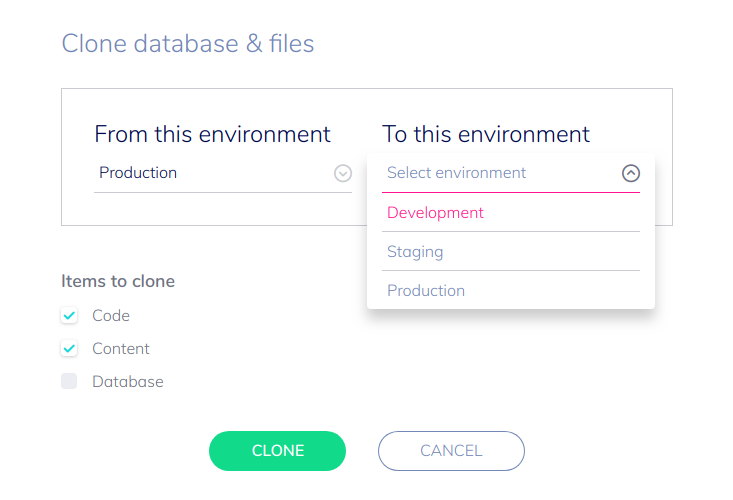 Best-practice workflows at the click of a button. Find all the tools you need to build and host websites on a single platform. Collaborate with different stakeholders inside and outside of your agency. 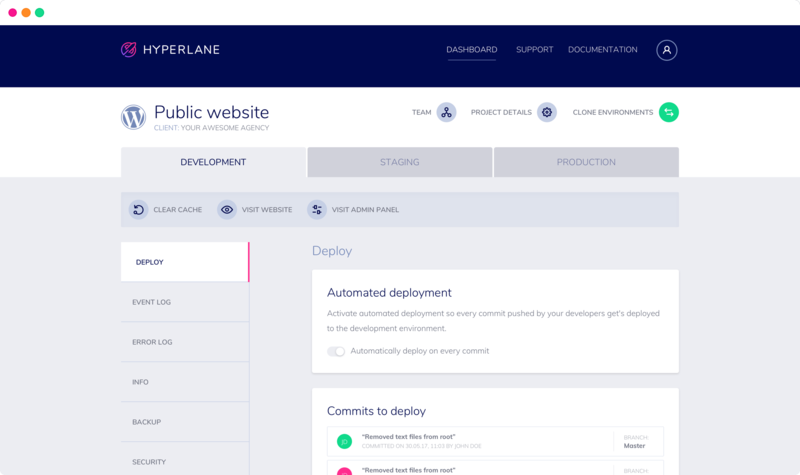 Build, manage and maintain your Craft and WordPress websites with Hyperlane. 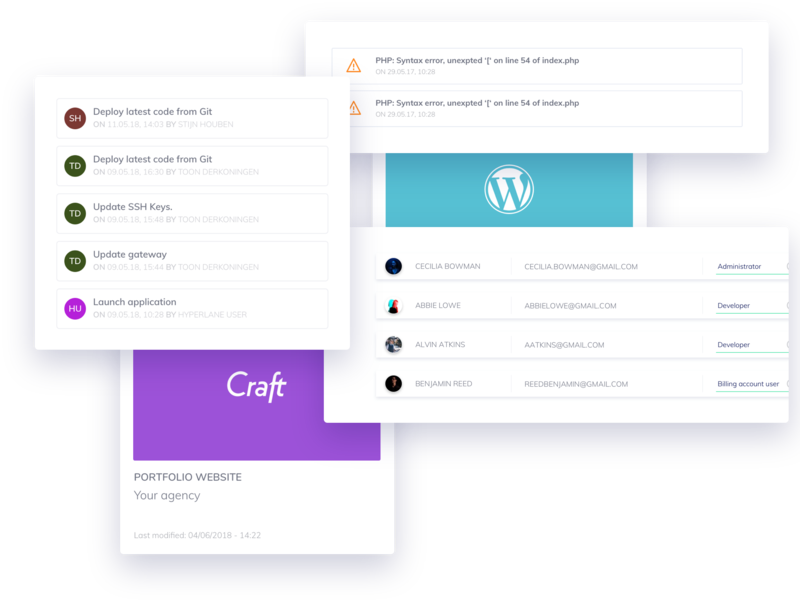 Hyperlane’s powerful Craft platform eliminates the hassle of hosting and streamlines the way you build, manage and maintain your websites. Building, managing and maintaining WordPress websites has never been easier. Hyperlane’s platform for WordPress helps you deliver your best work.